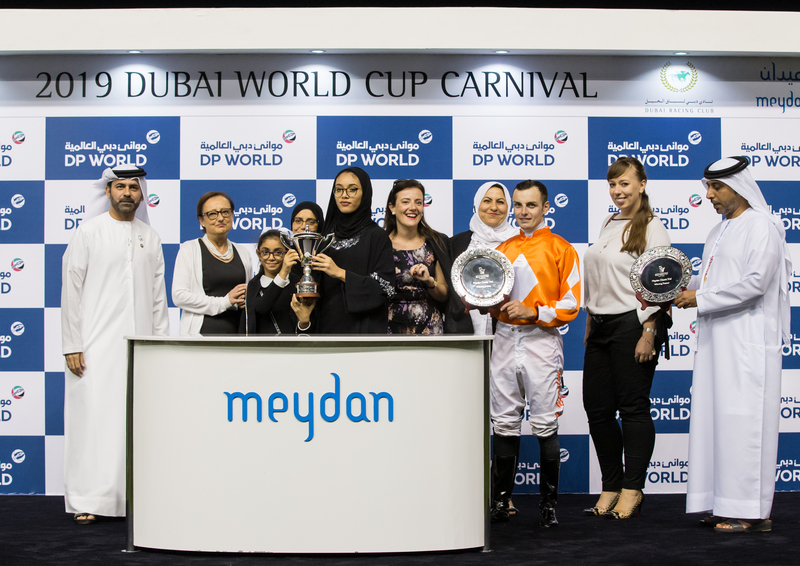 To cap a week that saw the Phoenix Ladies Syndicate sell out their shares and announce plans for a second group GOLDEN JAGUAR advertised their appeal perfectly running our an impressive winner of the Meydan Classic trial. Having won on debut at Jebel Ali, despite missing the break, he came into Thursday’s race as a lively contender, with hopes that he could improve from that debut run. 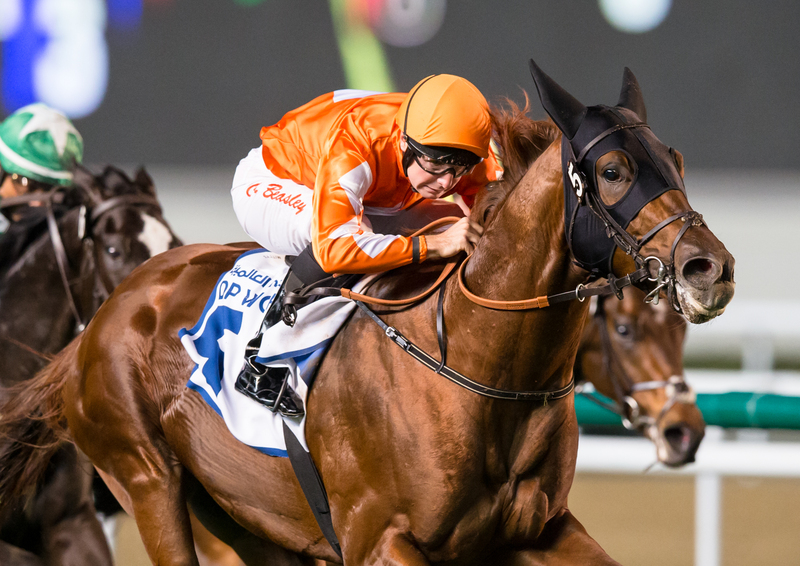 Again slightly playing up at the start jockey Connor Beasley had no choice but to drop the son of Dubai World Cup winner Animal Kingdom in behind horses but could never really tuck him in from a wide draw. Despite that, he travelled well on the grass surface, having won on dirt first time up, and as the field turn for home, Beasley asked the colt to go and win his race. Once in full stride, he ate up the ground and ended up winning going away over a trip two furlongs more than he faced in his opening effort. Later Beasley also suggested that he could easily see the three-year-old step up in trip to a mile and thinks the options are open for trainer Ahmad bin Harmash now the horse has won on turf and dirt. The victory came in front of several members of “PLS” and Phoenix Thoroughbreds CEO Amer Abdulaziz who was quick to praise the colt’s trainer.